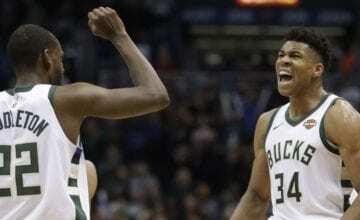 Even Giannis Antetokounmpo felt bad for Kosta Koufos after he put him on a poster with a monster one-handed hook dunk in the Bucks’ win against the Kings. It was the nastiest Greek-on-Greek destruction since Athens fought Sparta in the Peloponnesian War. Giannis…WHY YOU DUNK ON HIM LIKE THAT!?! 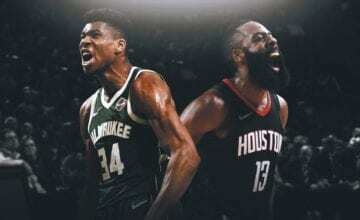 The brutal dunk sent fans at the arena into a frenzy, but after the game the Greek Freak wasn’t keen to brag about what he did to his countryman. 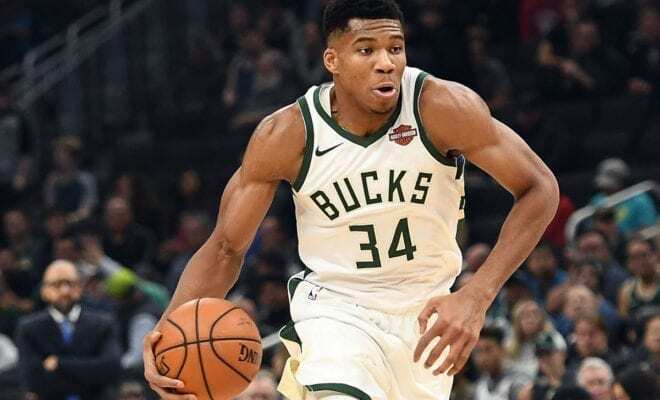 Antetokounmpo told reporters that he felt guilty for the brutal act, especially seeing that he knows Koufos’ family back in Greece. Of course he knows Koufos’ family — after that dunk, Giannis is now his dad. That’s how it works, right? Antetokounmpo ended the game with his second triple-double of the season dropping 26 points, 15 rebounds and 11 assists. With their 144-109 win over Sacramento, the Bucks are now 8-1. Read More: Does DeMarcus Cousins’ Injury Mean He'll Stay With The Warriors?